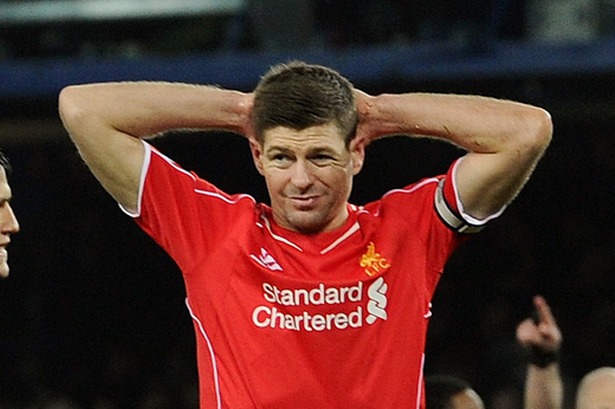 Home » LA Galaxy , Liverpool , steven gerrard » Who the Heck is Steven Gerrard? When Liverpool legend and former England captain Steven Gerrard signed off at Anfield back in May of this year for a new adventure with MLS side LA Galaxy he surely knew his life was about to change. From being one of the most recognized players in England, and arguably in Europe, to an unknown in his new home city might not be something he had banked on though. As the video below, shot on the streets of Los Angeles by Sky Sports, shows though despite the growing popularity of soccer in the United States there are still very few footballers that garner any recognition by the typical American public. David Beckham seems to still be one of the only players the average Jim-Bob and Mary-Sue on the street have heard of, and he retired two years ago. Meanwhile poor "Stevie G" draws a lot of blanks when his name is mentioned or hilariously one fellow even asked if Gerrard had played for Manchester United. Even a Samuel L. Jackson lookalike was clueless as to who the 2005 Champions League winner was when asked by Sky Sports News HQ reporter Vinny O'Connor.